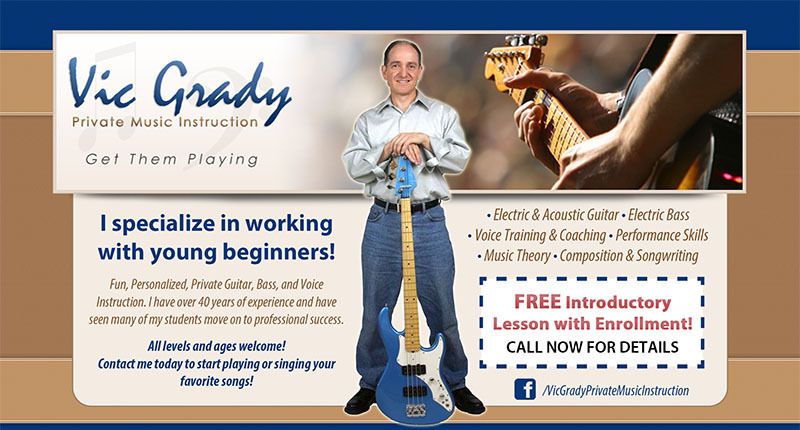 I provide Fun, Private Instruction on Guitar, Bass, Voice, and Piano. All ages and ability levels welcome! I teach in Lancaster, servicing the entire Antelope Valley -Los Angeles county-, on Tuesdays, Wednesdays, Thursdays, and Fridays. On Mondays, I service both the Santa Clarita -Los Angeles county- and Ventura -Ventura county- areas. My Lancaster facility is a fully-equipped, state-of-the-art studio. Students are thrilled as they experience music instruction in a life-like studio environment, learning basic technique and music theory as well as building a modern repertoire through the study of contemporary songs. LA County.